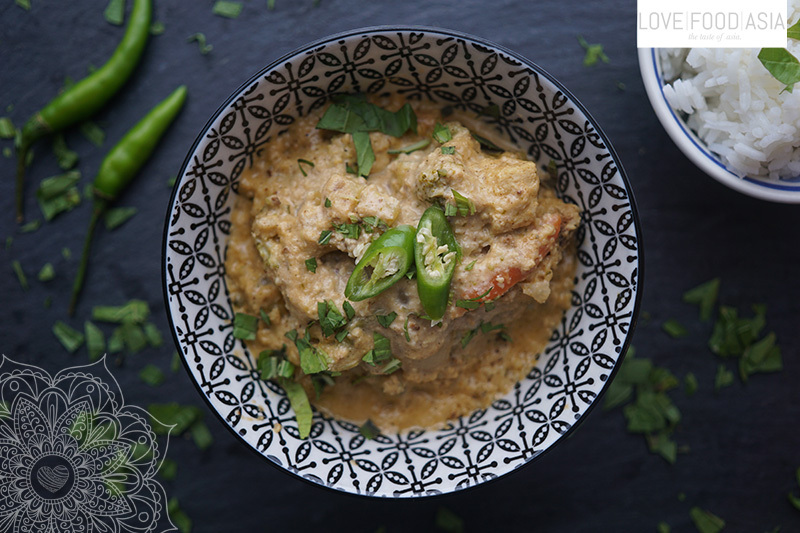 Navratan Korma is a rich, creamy and flavorful dish from India. Navratan can be translated to “nine gems”. The gems are the nine different veggies used in this Indian recipe. It was created in imperial kitchens and was served to kings, queens and other royals during the Mughal era in India. This vegan dish is a part of the Mughlai cuisine and all Mughlai dishes are always incredibly delicious. This korma is very easy to prepare andyou can use many different veggies. Bring water to a boil and add chopped potatoes. Cover with a lid and simmer for 10 minutes. Add vegetables and cook for another 5 minutes. Drain veggies in a colander and set aside. Heat ghee or oil in a large saucepan over medium heat. Stir-fry until onions are soft. Then add green chili, tomato, chili powder, korma paste and cashews. Stir fry on medium heat for 3 minutes. Transfer to a blender and pour in veggie stock. Puree until you have a smooth paste. Pour the paste back to the saucepan and add the cooked veggies. Deglaze with coconut cream and add Fenugreek leaves. Simmer for a few minutes on medium heat. Transfer to a plate and serve with naan bread, roti or fresh rice.